Have you ever found yourself wondering what to post on social media, or whether that article you just read is true? 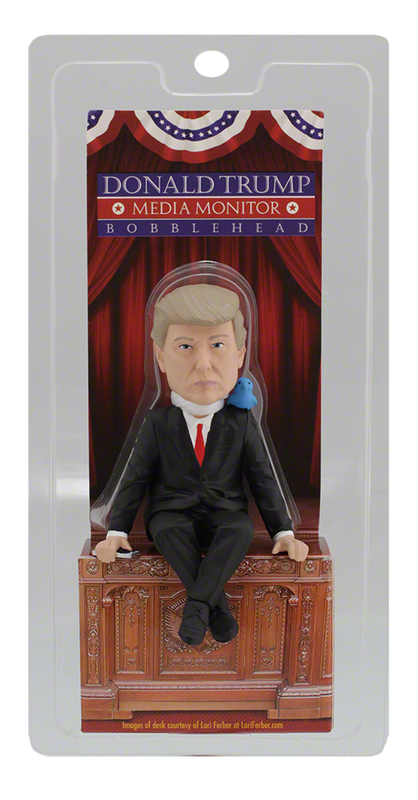 Have no fear; the Trump Media Monitor is here! 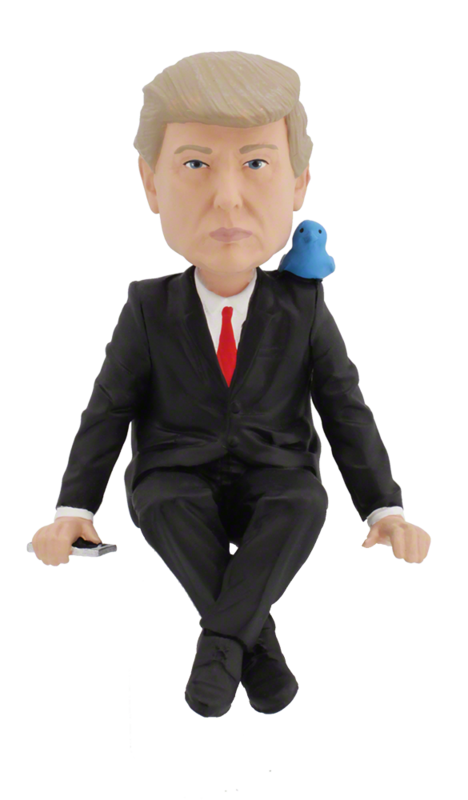 Renowned for having “the best words,” let this miniature Trump patrol your desk for “fake news” or “covfefes” that might be lingering nearby. 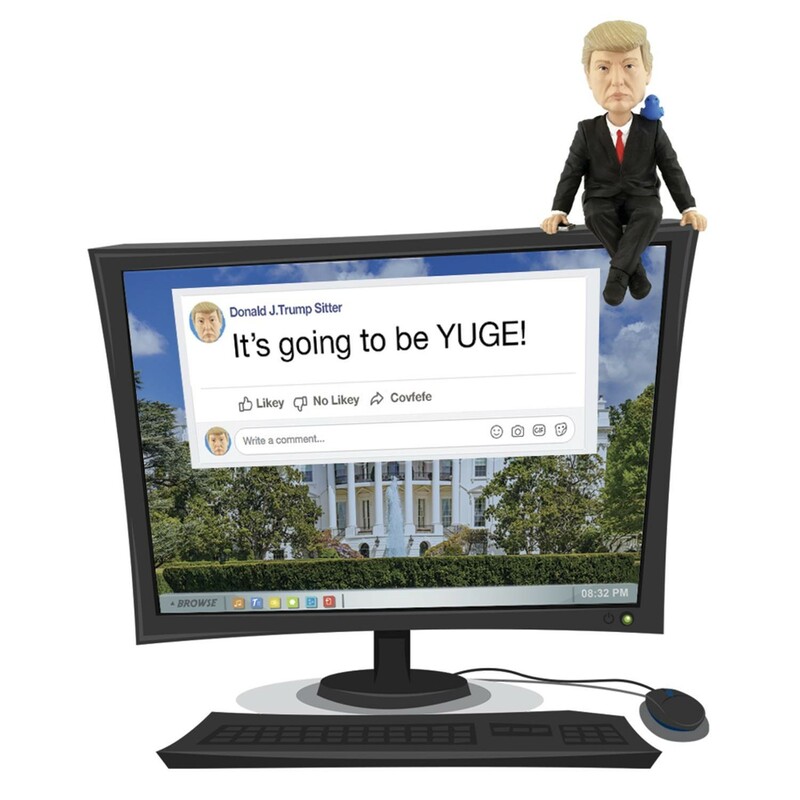 Use the included adhesive pad to affix your Trump Media Monitor to your monitor, desk or anywhere else you desire, and never doubt again! 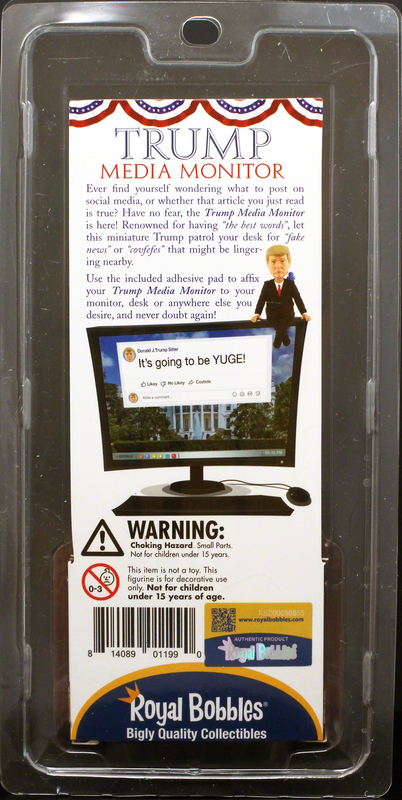 The Donald Trump Media Monitor sitter is about 3 inches tall, from rump to top of the head, when sitting on your computer monitor, shelf, or anywhere else you put it!